Garrett Flynn, a novice food challenger, has been tackling food challenges all over the United States. 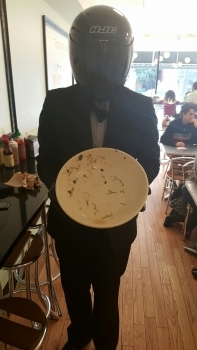 On a family vacation to Washington, DC, he walked into Sprig and Sprout and walked out our reigning champion. 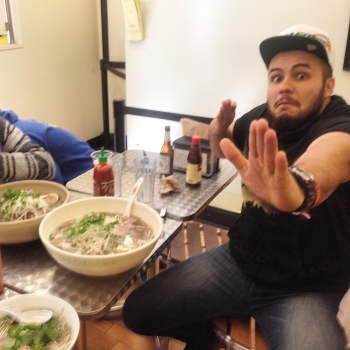 David Flores Jr. came in to compete with 2 other friends who did not fare so well. 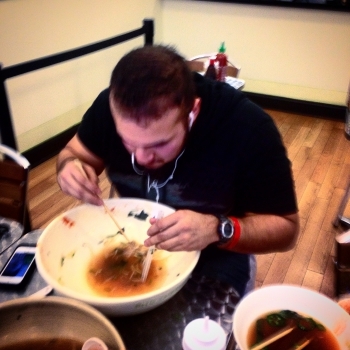 Wilson Hoo, on vacation with his wife, walked into Sprig and Sprout for lunch and walked away a Pho Challange Champion. 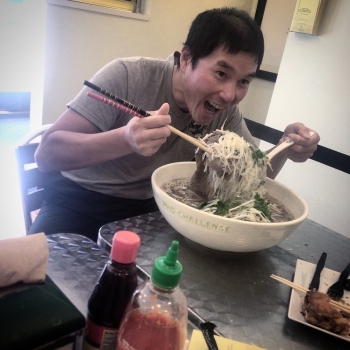 Our Classic Pho Bowl Enhanced For This Challenge. Two Pounds of Noodles, Two Pounds of Flank and Lean Brisket, 3 1/2 Quarts of Broth & 1 Pound of Sprouts, Onions, & Cilantro. 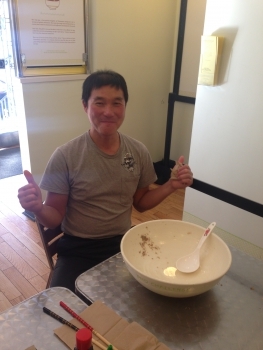 The custom-made bowl was thrown by John Kerr, The Pottery Instructor at Guy Mason Rec Center. 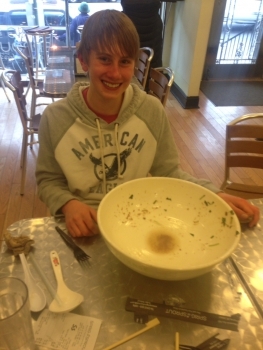 One Hour, No Help, No Sharing, No Bathroom Breaks, Finish It All …And Keep It Down! 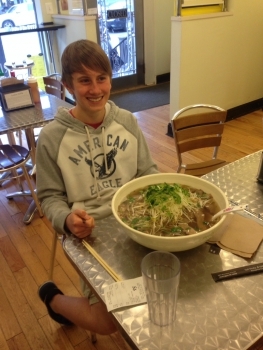 A FREE huge bowl of pho, BRAGGING RIGHTS for life, FAME memorialized with pictures and video on our website and YOUR NAME ENGRAVED along with your completion time on “The Pho Challenge Winners” Plaque that hangs in the restaurant for all our Pho Lovers to see for eternity. 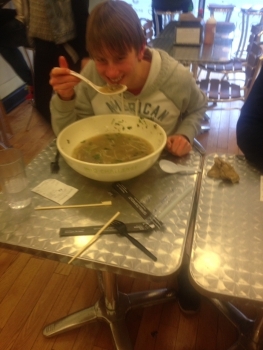 Can’t Finish It? You are going to risk NOT RECEIVING a congratulatory pat on the back AND a Walk of Shame in front of friends, family and onlookers, plus you will have to Pony Up $40to cover the bowl. But at least you can say you tried and you’ll have some leftover pho as a consolation prize, SO YOU GOT THAT GOIN’ FOR YA, WHICH IS NICE.